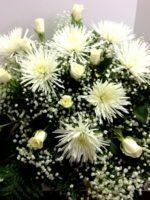 Sending a plant to a funeral service or Celebration of Life is always appreciated. 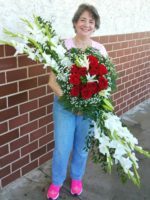 We choose a large peace lily and add a large red, white and blue bow to convey condolences to the family of an American veteran. 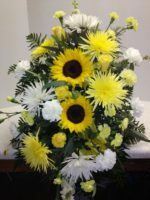 Sending a plant to a funeral service or Celebration of Life is always appreciated. 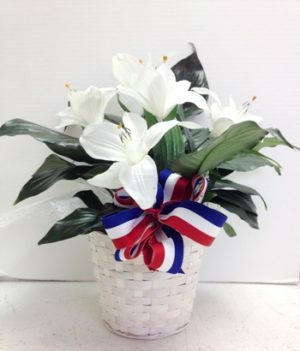 We choose a large traditional peace lily and add a large red, white and blue bow to convey condolences to the family of an American veteran. Looking for a larger plant? 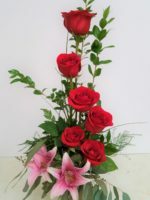 You can select our Long Lasting Green Plants and request that we add the patriotic red, white and blue bow.